Britain’s army of home sewers grow bigger every day. 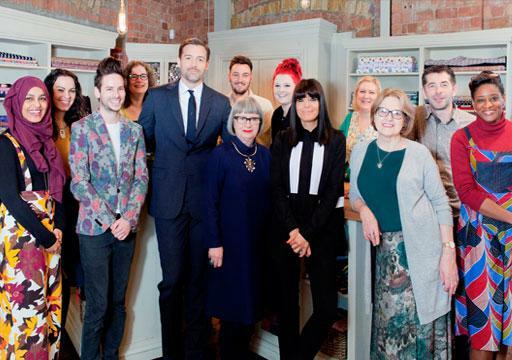 Now 10 of the best of them, from all walks of life including a doctor, a teacher, a scientist and a grandmother enter The Great British Sewing Bee to pit their sewing skills against each other. Claudia Winkleman welcomes them as she returns to host the fourth series of this talent search, set this year in an old tannery loft in South London's Bermondsey. Claudia is joined by Savile Row tailor, Patrick Grant and a brand new judge, the film costume maker and senior lecturer at Central St. Martin's Fashion College, Esme Young. The judges have some difficult challenges up their sleeves and over the 8 weeks the sewers must tackle delicate lingerie, stretchy active wear, stunning 1960s fashion and exquisite evening dresses. They need to prove they make everything from a bra to ballgown...but only one can be crowned winner of The Great British Sewing Bee 2016.